SAN RAMON, Calif. -- California Highway Patrol officers arrested a 39-year-old driver in connection with a car crash that killed a 3-year-old boy Friday evening in San Ramon. 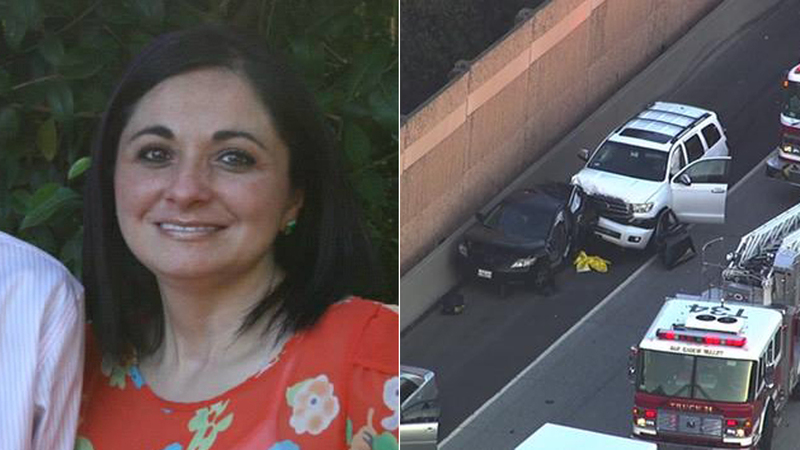 Pleasanton resident Yarenit Liliana Malihan, 39, was arrested on suspicion of driving while under the influence and gross vehicular manslaughter, according to the CHP. The crash occurred around 6:20 p.m. on northbound Interstate Highway 680 near Bollinger Canyon Road, CHP officials said. A disabled black 2007 Toyota Camry with three children and their mother inside had parked on the shoulder of the highway. Three-year-old Elijah Dunn was killed in the crash. A white 2008 Toyota Sequoia, driven by Malihan, then crashed into the back of the Camry, according to the CHP. All three children - including a 1-year-old girl, a 3-year-old boy and an 11-year-old boy - were transported to UCSF Benioff Children's Hospital Oakland. The 3-year-old later died at the hospital, CHP officials said. The mother of the children, who the CHP identified as Crystal Manoiki, suffered major injuries. She was taken to John Muir Medical Center, according to the CHP. Malihan was taken to San Ramon Valley Hospital and treated for minor injuries. She was later arrested and booked into the Martinez Detention Facility. Investigators concluded the small children in the Camry were secured to a child safety seat and all the victims were wearing their seatbelts at the time of the crash, CHP officials said. Click here to donate to the Dunn family.